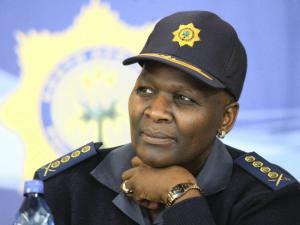 According to News 24, Police commissioner Riah Phiyega was a no show at the Labour Court in Johannesburg on Monday despite trade union Solidarity claiming she would testify in a case against the SA Police Service (SAPS). Solidarity approached the court to try and force the SAPS to redeploy whistleblower Colonel Kobus Roos in a similar position to the one he was in before he was redeployed. SAPS advocate William Mokhari said he did not know where Solidarity got the information that Phiyega would be in court. The matter was expected to start at 11:30 on Monday. Roos, who has worked for the police for 26 years, was originally demoted by ex-crime intelligence boss Richard Mdluli after he exposed alleged corruption in the crime intelligence unit. Mdluli removed Roos from his position as head of internal audit and placed him in the inspectorate and evaluation division of the unit – a post the unit said was redundant. In April, the labour court ordered the police to redeploy Roos to a similar position as the one he had before his demotion. In the court ruling, the police were also ordered to pay Roos R156 250 in compensation, plus costs. Solidarity is accusing the SAPS of not complying with the earlier court ruling. However, SAPS national spokesperson Solomon Makgale on Sunday said the police had “fully complied”.